Is the circuit to begin you adventure and everyone should do. It consists of some basic activities and is prepared to give relevant explanations and instructions to all customers. Initiation circuit: mandatory 15 minutes. Estimated realization of circuits based on a group of five people. 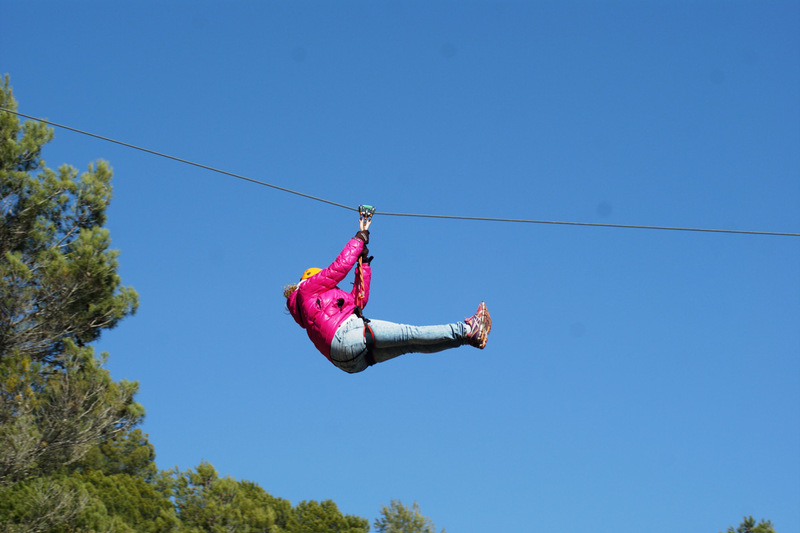 Unique in our territory, a series of eight super zip lines. Impressive, really long, our superstar! Their lengths ranging from 80 to 180 meters allow us to enjoy magnificent views of our space. DIFFICULTY: suitable for all audiences. 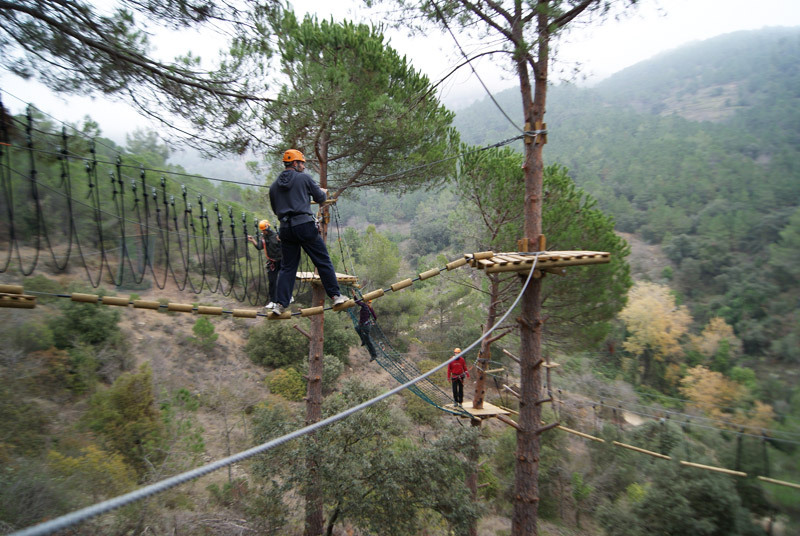 It lasts an hour if you do all the zip lines. Minimum height for access 1.30 m. (Minors accompanied or with permission). Úniques al nostre territori, un seguit de 8 supertirolines. Impressionants i llarguíssimes fan que sigui la nostra activitat estrella. Les seves longituds van des dels 80 als 180 metres i ens permeten gaudir de magnífiques vistes de la nostra terra. La seva alçada també excepcional d’entre 18 i 40 metres ens fan viure una gran experiència a vista d’ocell. 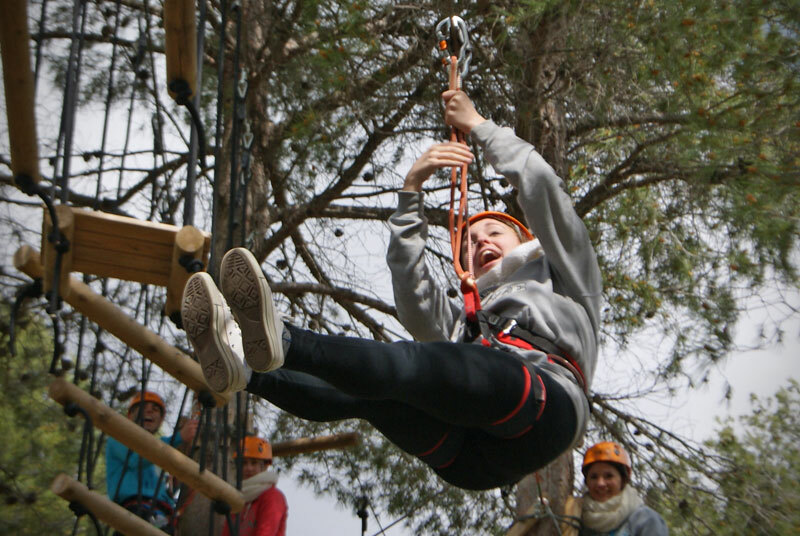 It is the basic circuit, this activity combines bridges & zip lines to begin to gain confidence in our our installations. 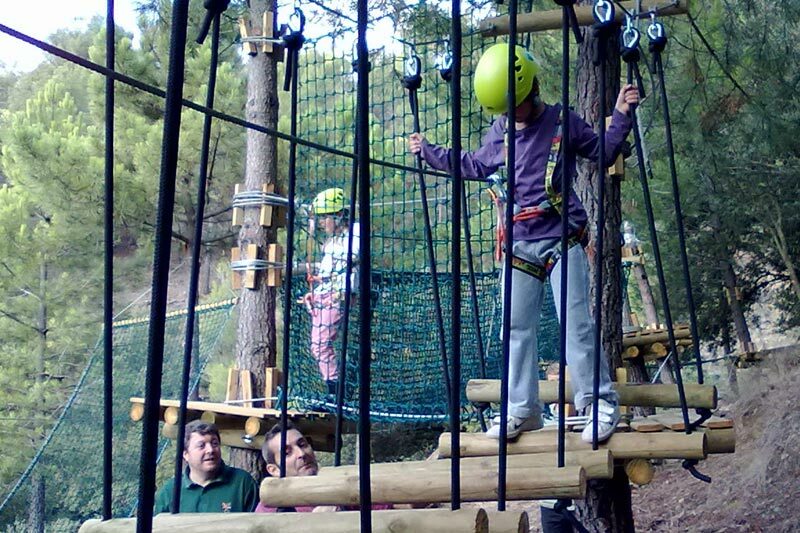 It consists of 4 games and 15 zip lines. You will not suffer anything, easy stuff! Conceived and designed for adults and children who are new to this sport. 45 minutes, depending on the physical conditions. Medium difficulty, determined by the length of the different games. The difficulty of some games is a bit higher, but easily doable for everyone. TIME: 45 minutes on average. This is the circuit for those who want a more demanding route. 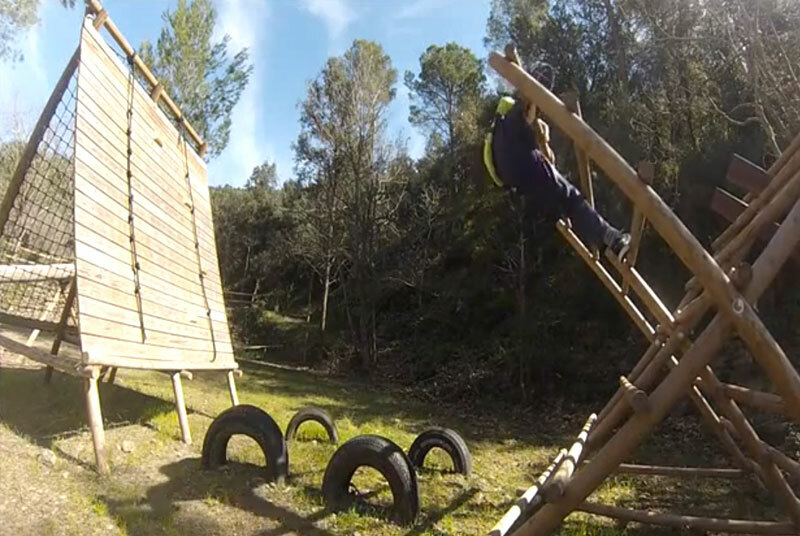 High difficulty, it consists of 16 games at a height that stretches exceeds 9 meters. The difficulty comes from the length of different games, and the need for balance and sometime strength of its users. Although we can find alternative easier paths for those who are tired but daring. 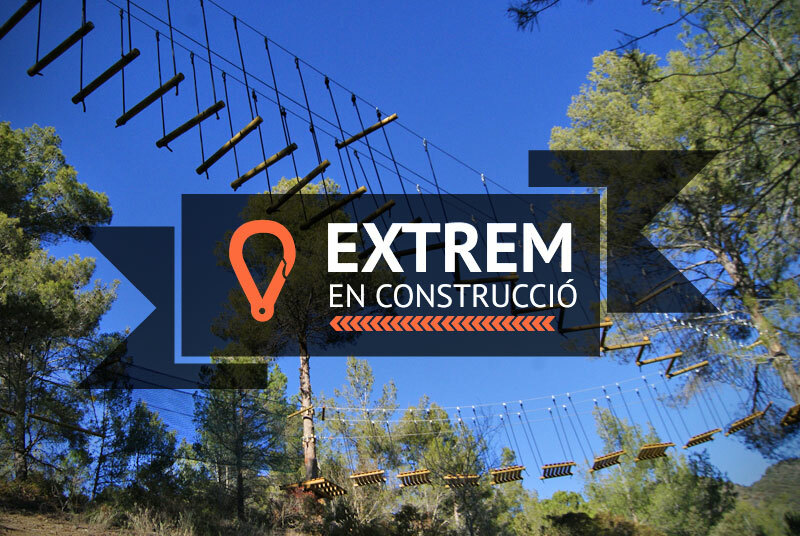 This circuit is under construction and will be extremely difficult for those who want to overcome a challenge almost impossible. 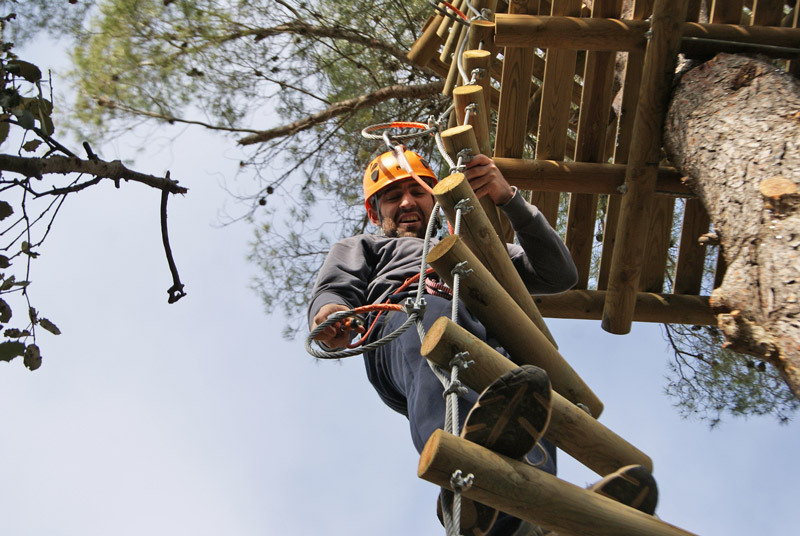 The circuit has a very high level of difficulty for people physically well trained, with experience in this type of adventure activities and have eager to enjoy an almost impossible challenge. 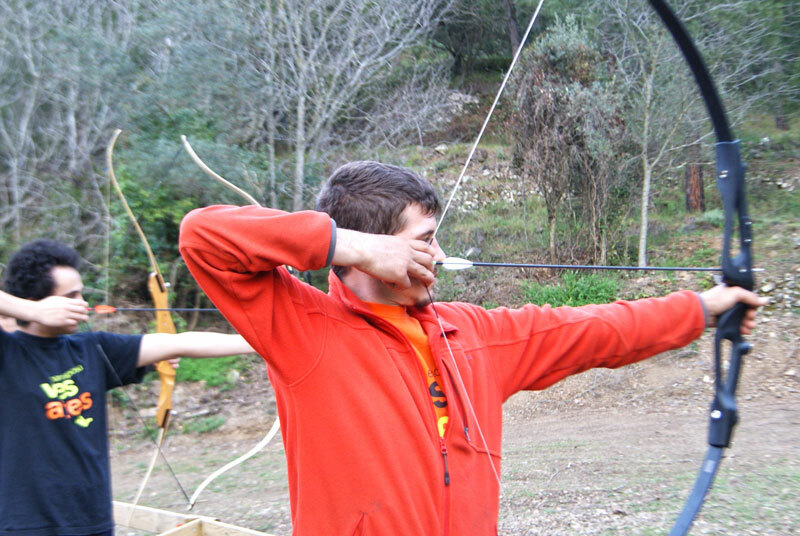 Vies Altes is also equipped with an esplanade targets and different plots Archery, here you can practice your aim and we will teach you intuitive shooting.